No matter my intentions, every weekend of our summer seems to naturally fill up with activities. This weekend was no different. 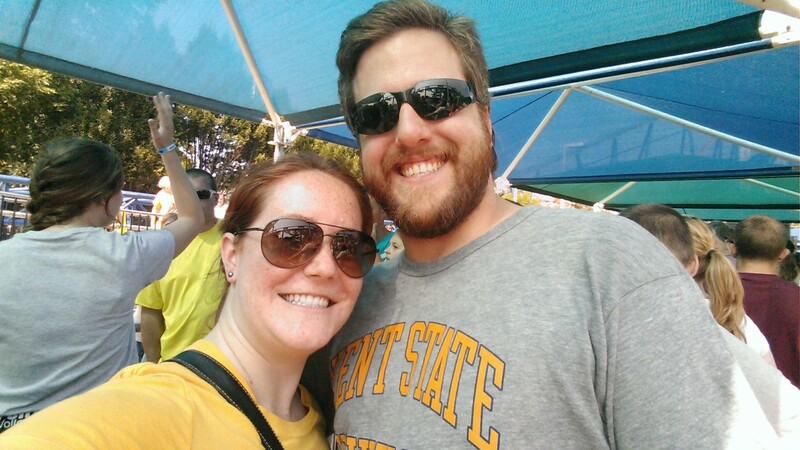 We headed to the cottage in Marblehead, Ohio, to visit with friends and family after work on Friday, we went to Cedar Point on Saturday as part of Kent State University’s alumni weekend, and then we spent Sunday canoeing and celebrating my friend’s birthday. Whew! 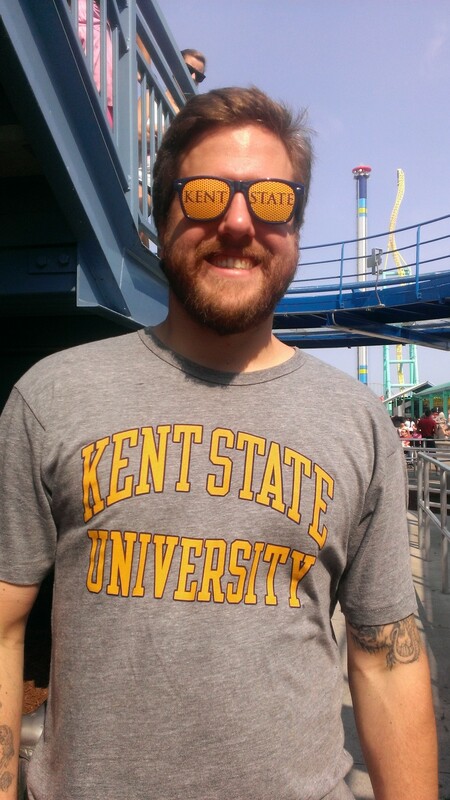 We hadn’t been to Cedar Point in a couple of years so when Kent State’s Alumni Association announced it was offering discounted Cedar Point tickets, which included a buffet lunch and drink wrist bands, I really wanted to go. 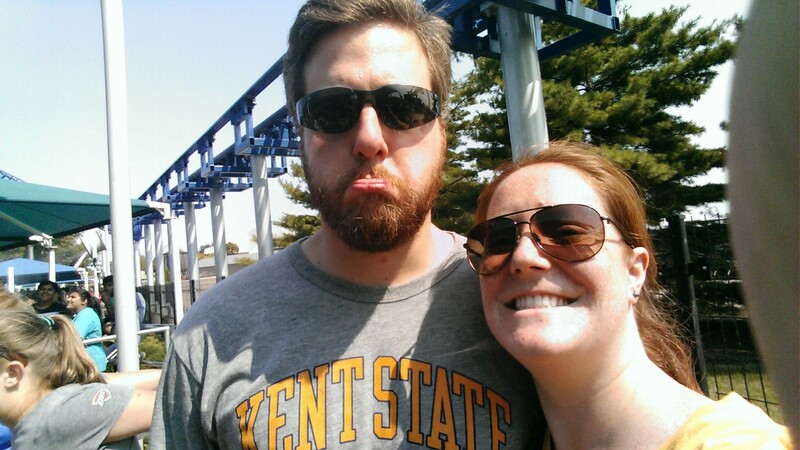 We got to Cedar Point right when it opened so we did get to ride the brand new coaster, the Gatekeeper, but the day didn’t go exactly as I had hoped. I think we only rode five rides after about eight hours and after all the waiting in 80-90 degree weather, we were beat and ready to head home. It’s critical to go after the school year starts. There were so many people there that lines always had a 45 minutes to an hour wait. The park started a new fast pass system, which allows you to pay more to get in a line that fast-tracks you to the front, but that only makes everyone in the standard line wait even longer. We did get to ride some of our favorites, like the Magnum XL-200 and Raptor. We even rode in the front seat of the Magnum because people tend to ride the latest and greatest coasters and forget about some of the classics. That one is still one of our favorites. We also spent some time reminiscing about high school. He and I were in marching band, and we would come up for a day during the summer to perform in the morning and then enjoy the park throughout the day. Sometimes it blows my mind how long we’ve known each other. We also reminisced about coming to Cedar Point as children with our families and some of the rides we enjoyed that no longer exist. It’s easy to forget that people come from all over the world to spend a day at Cedar Point when it’s in your back yard. I don’t know if we’ll always live in Northeast Ohio, or even Ohio for that matter, so I think it’s important to enjoy those things. We’ve done a fair job enjoying local adventures, and I hope we can continue to explore the region as long as we are here.